Did you know? Not all of the wires on your electric fence are “live” – they alternate between live and earth – which is critical to ensuring the fence can actually cause an electric shock and detect the lifting or tampering of wires. 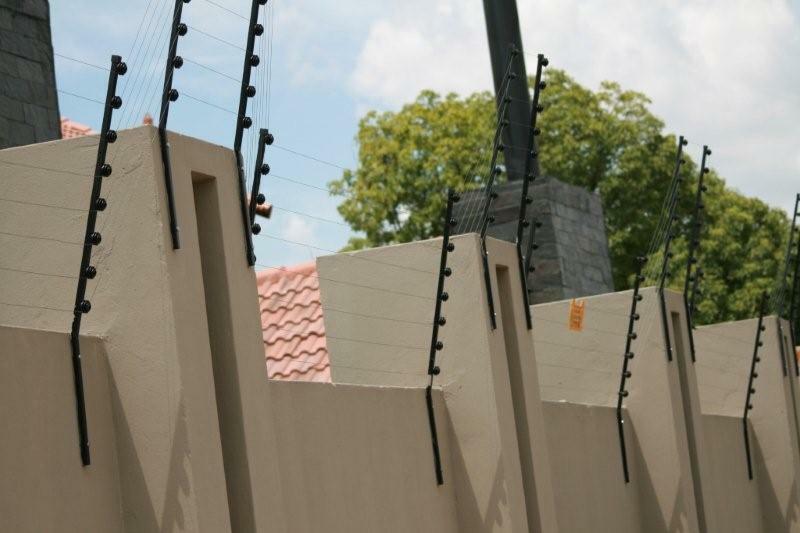 Electric fencing can easily be considered the ultimate security feature for any residential property security system but, to most South Africans, it’s simply a necessity. It is your first line of defense against burglary and home invasion and will protect your family and property 356 days a year by acting as a psychological barrier, a physical barrier and a means to alert you and, your security company, of an attempted breach of your home perimeter. Electric fences do not consume a lot of electric power and most homes will experience no more than a R 15.00 increase on their electric bill after installation. Although many people claim that electric fence installation isn’t complicated – if it’s not done by a trained professional with extensive expertise and experience – you could be paying for nothing more than a prop. In addition to proper installation, homeowners must ensure that regular maintenance is conducted and, that any damage or ware is attended to by a professional, so as to sustain effective operation. Homeowners will, however, have to turn their energizers off and trim any foliage or branches which are making contact with the fence to ensure false alarms are not set off and that the fence works properly. An electric fence can be installed on any type of wall or palisade fencing – as long as it is structurally sound and can allow the mounting of brackets. It is important to note, however, that you will need to obtain permission from your neighbour to install electric fencing between your respective properties. Although most people place a lot of focus on the visible parts of an electric fence, there are many necessary and optional components that make up an electric fence system and, if any of these are not installed correctly or become damaged, it could render your fence useless. The obvious components of an electric fence include the wiring and the wall top brackets (those black or white poles with little round eyes that hold your wires in place) but, equally important, is the energizer which converts the electrical power from your mains or, from a battery, into high-voltage electrical impulses. The impulses are intermittent and can carry a maximum of 9900 volts – as per government legislation. This voltage, although non-lethal, will temporarily incapacitate any intruder and, if interrupted or tampered with, will sound an alarm. A battery backup system is installed on most systems and is the only way to ensure your electric fence keeps working during load-shedding or a power-cut. Most 12-Volt electric fence battery systems can provide between 4 to 6 hours of power to an electric fence but, some can last between 8 and 10 hours. Another optional feature is that of a lightning diverter which will protect your energizer from lightening strikes (this is not guaranteed and lightning strikes which occur close to the energizer will likely cause damage but, should be covered by your home insurance). All residential fence systems will incorporate the use of a minimum of 3 earth spikes but, more are recommended to ensure that the fence can effectively produce the electric shock that you need it to. You may have also seen earth loops placed between three wires – these serve to help detect any wire separation by ensuring the current is interrupted if the central wire makes contact with the loop. Finally, your electric fence system will also require a siren and radio transmitter which will send a breach detection notification to your security company.